This week in the world of my guitar tutoring I heard the cries for a chord summary on one sheet. A selection of the basic open chords on a single reference sheet. Easy to glance at and a digestible number of chords to work towards achieving. 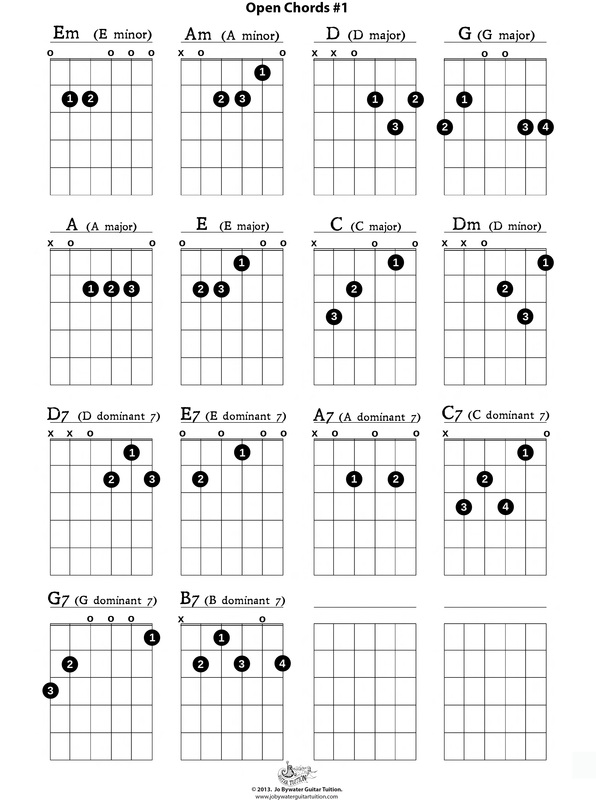 The Open Chord sheet #1 is also in PDF format on my Free Resources page. A couple of my students are left – handed and so I’ve adapted this for them in reverse format. Anyone who is interested in this version just message me and I’ll send it on over.